UNITED NATIONS, May 2 2017 (IPS) - The widespread belief in the politically-motivated killings of journalists in Sri Lanka is predicated on a deadly irony: the hidden hand has always been visible, but the fingerprints have gone missing. Lasantha Wickrematunge, the Sri Lankan journalist killed in 2009. The two most widely publicized killings relate to IPS UN Bureau Chief in Colombo, Richard de Zoysa, 30, in February 1990, and the Editor-in-Chief of the Sunday Leader Lasantha Wickrematunge, 51, in January 2009. But both murders remain unsolved—due primarily to political coverups — despite several leads pointing to the killers. As fate would have it, the politician who apparently ordered the killing of de Zoysa, and the police officer who executed that order both died in a suicide bomb blast in 1993, three years after de Zoysa’s murder. But the rest of the conspirators are still on the loose and fugitives from justice. And as the United Nations commemorated World Press Freedom Day, there were reports last week that one of the suspects in the Wickrematunge killing– far from being investigated or prosecuted — had been elevated to the rank of a diplomat and posted to a Sri Lanka embassy in an Asian capital years ago. Too often, he pointed out, threats are not met with effective protection by law enforcement or, in their aftermath, genuine investigation and prosecution. “States need to make accountability a priority,” he declared. In an interview with IPS, Sonali Samarasinghe, Minister Counsellor at the Permanent Mission of Sri Lanka to the United Nations, confirmed that both high profile killings in Sri Lanka were meant to silence press criticism of political higher-ups. In Richard de Zoysa’s case, Samarasinghe said, he was the first Sri Lankan journalist to pay the ultimate price for his journalism. Like Lasantha, Richard was beloved during his life, and like Lasantha, he has, since his death, become an icon in the media industry in Sri Lanka. Richard was a man of extraordinary talent and range who wrote haunting poetry and powerful plays, she noted. There is no doubt in my mind that his killing was politically motivated as well, said Samarasinghe, a former Nieman Fellow at Harvard University, an Edward R. Murrow Fellow in Washington DC, and an International Journalist-in-Residence at the Graduate School of Journalism at the City University of New York. IPS: Since Lasantha’s killing, has there been any credible investigation to track down his killer or killers? Why has there been no trial or conviction for 8 long years? SAMARASINGHE: Before January 2015, there had been virtually no serious investigation into this crime. There seems to have been a deliberate cover-up and stonewalling of the case. Such emblematic cases are not properly investigated for several reasons; among them, to hide the truth, to perpetuate a fear psychosis in the people and to create chaos. These assassinations affect not only the families of the victims but society as a whole. A break down in the rule of law and a lack of freedom of information leads to social divisiveness and generates mistrust between groups and in the institutions of the State. They send messages of fear, despondency and submission – and slavish/divisive societies are easier to manipulate. However, since the change in administration in 2015, a special Criminal Investigations Team was established and there have been concrete steps taken not only in Lasantha’s case but in the cases of other journalists who were beaten, threatened or who disappeared during the previous administration. Lasantha’s body was exhumed late last year as part of this new investigation. These are extremely gut-wrenching circumstances and for me very difficult to endure as his wife. However, for the sake of the greater good and for the purposes of a thorough independent investigation, we have to go through this. The proper conclusion of these investigations are important in order to re-establish Good Governance and the Rule of Law in our country, and halt the cyclical recurrence of violence in various forms. This is why the present administration has said it is deeply committed to these democratic principles. IPS: How safe is the political environment for journalists now — as compared with 1990 or 2009? SAMARASINGHE: As a nation that had suffered a dark period under the yoke of terrorism and an accompanying culture of impunity, this administration has demonstrated in several concrete ways that it is actively conscious of the value of a nation built on the principles of democracy and the Rule of Law. The cornerstone of any democracy is freedom of information. Without this there can be no meaningful advancement of peace, development or human rights. Among others, the proper handling of Lasantha’s case will become the symbol of a restored and renewed democracy where once again, the people of our country will have faith in our judiciary, and in our system of Justice. This is a slow and steady process. Clearly the current administration has taken several steps in the right direction. For instance after years of civil society activism the Right to Information Act was signed into law in August 2016 and came into force on February 4, 2017. The government unanimously enacted the Assistance to and Protection of Victims of Crimes and Witnesses Act. A Permanent Office for Missing Persons (OMP) has been established. These are all structures and mechanisms that serve to rebuild trust in the state. I would say that today we have an administration that understands the value of an independent fourth estate and the serious perils of lapdog journalism. QUESTION: With the increasing attacks on journalists worldwide, is there a role for the UN to stem this onslaught? SAMARASINGHE: There is definitely a leadership role for the United Nations. From the Universal Declaration of Human Rights – Article 19 which states that “Everyone has the right to freedom of opinion and expression; this right includes freedom to hold opinions without interference and to seek, receive and impart information and ideas through any media and regardless of frontiers,” to the unanimously adopted Sustainable Development Goals – particularly Goal 16, to “Promote peaceful and inclusive societies for sustainable development, provide access to justice for all and build effective, accountable and inclusive institutions at all levels” we see that member states fully realize the UN’s critical role in this regard. IPS: Are most UN member states paying only lip service to the cause of press freedom? SAMARASINGHE: In the final analysis, it is the responsibility of individual member states to implement nationally the international agreements and UN resolutions in accordance with their own domestic laws and cultures and to establish Rule of Law and end impunity. The two indicators set by the United Nations Statistical Commission for tracking progress in the achievement of target 10 are pertinent as they relate (a) to the number of verified cases of killing, kidnapping, enforced disappearance, arbitrary detention and torture of journalists, associated media personnel, trade unionists and human rights advocates, and (b) to the number of countries that adopt and implement constitutional, statutory and/or policy guarantees for public access to information. Therefore SDG 16 is significant in mainstreaming safety of journalists in the international development agenda and for tracking progress in individual countries. IPS: Do you think the UN should at least name and shame these countries where journalists are constantly in danger of losing their lives in the line of duty? SAMARASINGHE: There is in fact a UN plan of action for the safety of journalists and the issue of impunity, with UNESCO taking the lead in developing and implementing the plan. This plan includes a number of actions including standard-setting, policy-making, monitoring, reporting, building capacity and awareness-raising. And yet, according to the UN itself every five days a journalist is killed in pursuit of a story. So yes, clearly the international community must be more proactive in addressing this issue. The numbers from civil society are staggering as well, with the Committee to Protect Journalists reporting that some 370 journalists were murdered between 2004 and 2013 in direct retaliation for their work, with 48 journalists killed in 2016 and 8 already killed in 2017. However there are several soft approaches that the UN already explores, and awareness-raising through commemorative events or International Days (including World Press Freedom Day) is one. These soft approaches, if constant, can be very effective in shining a light on national situations, transporting incidents to the international stage and affording activists and family members an international platform to make their case. IPS: Is there any role for journalists themselves to take up the fight at home or, more importantly, internationally? One way to do this is to highlight or give prominence to the journalists who have been victimized in their own countries. For example, as an exiled journalist at the time, I was invited to speak at international events organized by UN agencies. During this period, I was also given the opportunity to speak at various other international venues, including on Capitol Hill, at the National Press Club, Universities and was also invited to serve as key note speaker at special events, including to commemorate Martin Luther King Jr Day. This kind of exposure helps keep the issues alive on the international stage. Furthermore, UNESCO has the annual UNESCO/Guillermo Cano World Press Freedom Prize awarded on 3 May that honors a person, organization or institution that has made an outstanding contribution to the promotion of press freedom. 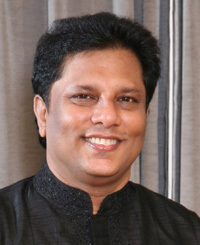 Lasantha was awarded this prize in 2009. He became only the second journalist to be honoured posthumously since this prize was created, and a testimony to the risk many journalists run in the pursuit of their calling. Again, this award, and the buzz it created, became a megaphone opportunity to highlight not only Lasantha’s case, but also the plight of all journalists persecuted everywhere for their work. And in 2009 Mr Ban Ki Moon the then UN Secretary General highlighted Lasantha’s assassination during his remarks on Press Freedom Day. The world’s top diplomat giving prominence to Lasantha’s case was an important step in the right direction. https://www.youtube.com/watch?v=2SNVeGGe0TU. Other UN agencies and diplomats expressed concern as well quite publicly, and these statements sent a message that the international community was watching. But yes, given the horrific numbers, it is important that the international community remains ever vigilant.